XYZ Printing is a company that’s experiencing in the traditional 3D plastic-based printers. But they’re now turning their attention to 3D Printers that print food. 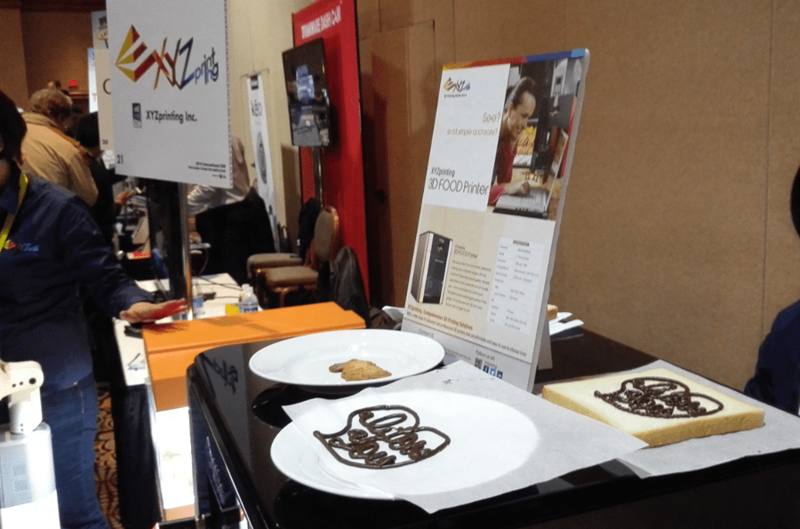 On show at CES 2015 is a near-ready production prototype of a 3D Food Printer. This was one of the most ferocious booths at the show with cameras battling for position to watch the print in action. The product works in much the same way the plastic version works, but uses a sugar based raw material to create cookies, chocolate and a bunch of different food types. The machine is big right now and the first version will target more commercial applications that attempting to take place on your kitchen bench. It’d be an amazing piece of technology for a cake shop, being able to print personalised messages on cakes in just a few minutes. 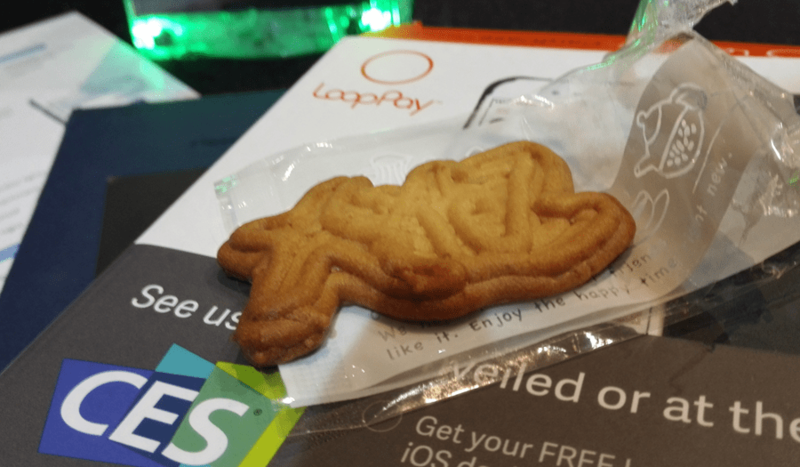 I tried the cookie, which as an example of branding, the company XYZ, printed cookies constructed of the letters of XYZ.. the possibilities here are massive. 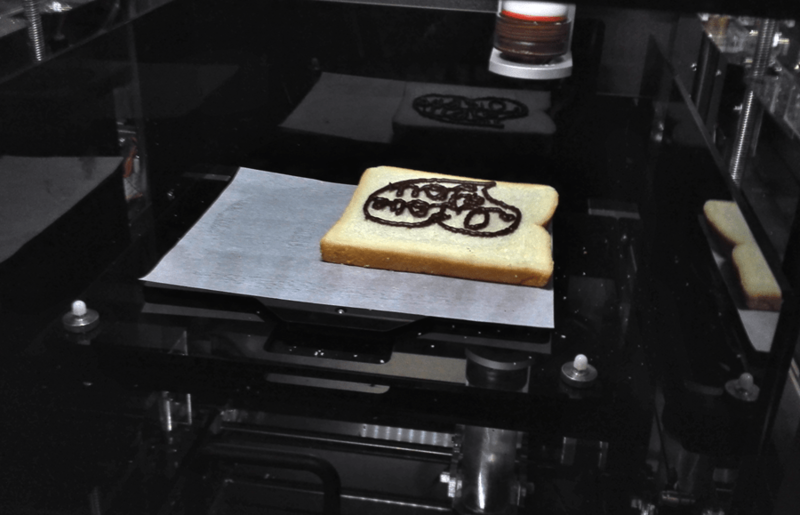 The XYZ Printing 3D FOOD Printer is 426x433x608mm in size and features a 5” touchscreen to control it. It also has WiFi and USB Connectivity, so if you’re hungry and want to print some food you could, sadly it won’t deliver it to you. The paste extrusion comes from a 1/2/4 or 8m diameter nozzle. You can print objects of a maximum size of 200x150x150mm and each layer can be 0.8-6.44mm thick. If you create 3D assets, you’ll be wondering what file type support is offered.. The answer is a standard STL file or their own XYZ format. Now you’ve read all the detail, check out the video of the 3D Food Printer in action.